A joke about the Queen broadcast on BBC2's satirical panel show Mock the Week had been cleared by the corporation's TV censor. 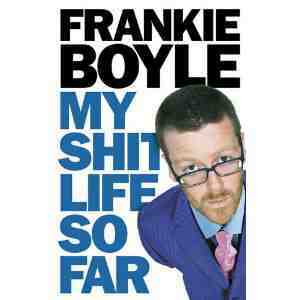 Comedian Frankie Boyle joked that you would not hear the Queen say during her Christmas broadcast: I'm now so old that my p**** is haunted. The episode had first been shown in 2007 but was repeated in October 2008 during the Jonathan Ross and Russell Brand furore. A complainant said the joke was grossly offensive and added: It would have been objectionable at the best of times but coming as it did in the midst of the Ross and Brand controversy it was quite unforgivable. An initial complaint to the BBC's management had been rejected saying that, while the joke was near the knuckle , it was in keeping with the show. The viewer then took his complaint to the BBC Trust which also rejected the complaint, despite admitting the joke had sexist and ageist overtones . Richard Tait, BBC trustee and chairman of the editorial standards committee, said the joke was well after the watershed, well signposted and within audience expectations for the show . He said: The committee did feel this joke was in bad taste - it had both sexist and ageist overtones. However, a gag on a different episode of Mock the Week about Olympic swimmer Rebecca Adlington was deemed to have broken rules. One viewer told the BBC he was appalled . The show's producer later responded to the complaint, saying the ribbing might have gone a tad too far and apologised. The trust said that 75 complaints were received about the item, originally aired in the week that Team GB returned from the Olympic Games. It found that, while Adlington was a public figure, she had not courted media attention. The judgment said: The joke about her appearance and the sexual innuendo were humiliating and there was no demonstration of a clear editorial purpose for the inclusion of these comments. The committee also noted that the commissioning editor had made her views known about preferring not to include the joke. It said it was concerned she appeared to have been unable to obtain the edits she would have preferred. Last Tuesday, the BBC Trust criticised the panel show Mock the Week because one of its stars, Frankie Boyle, joked about the facial features of Rebecca Adlington, the Olympic swimmer. But even before the ban on derogatory gags, senior figures in comedy were expressing frustration at the BBC's increasing nervousness about humour. Take Jimmy Mulville, who runs the company that makes Have I Got News for You . At the Edinburgh Television Festival in August, Mr Mulville said it was becoming harder to get risqué jokes past the BBC's censors. My worry, he said, is that we're having our tastes set at a dial by the tabloid press. Olympic swimming champion Rebecca Adlington has formally complained to the BBC that it let comedian Frankie Boyle off with a slap on the wrist over jokes that caused her deep hurt. The double gold medal winner at last year's Beijing Olympics has demanded an explanation from the BBC Trust over why it chose not to punish the comic for outrageous slurs that left her humiliated . 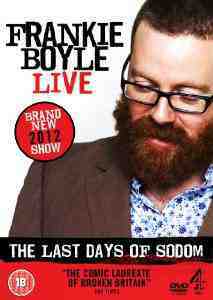 And her agent has called for the BBC to ban Boyle over his comments. 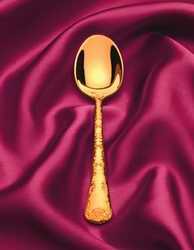 During an episode of BBC2's satirical show Mock the Week last year, soon after Miss Adlington's Olympic triumph, Boyle said she resembled someone looking at themselves in the back of a spoon and followed up with sexual innuendo. The comments sparked 75 complaints, but although the BBC Trust criticised Boyle and agreed that his remarks were unfair and offensive it took no further action such as barring him from its programmes for a period. Miss Adlington has now written to the Corporation, calling its rebuke no more than a slap on the wrist for comments which fell well below the standards of common decency . She questioned the effectiveness of the Trust's disciplinary process and called for the corporation to take greater responsibility for its stars. The BBC Trust said last night it had received Miss Adlington's letter and would consider it, but added: At this stage we have no plans to review the finding .